Usually indicated in the treatment of chronic tendon or muscle injury and myofascial trigger points that have been recalcitrant to other treatments. 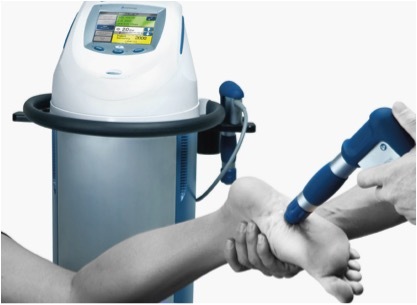 Shockwave therapy is increasingly being used in the treatment of acute and subacute soft tissue injuries to improve circulation and enhance the metabolic healing process. Excellent outcomes are typically achieved with 3-4 sessions. Well researched technology with efficient and proven results.